Elegant. Reverent. Feminine. 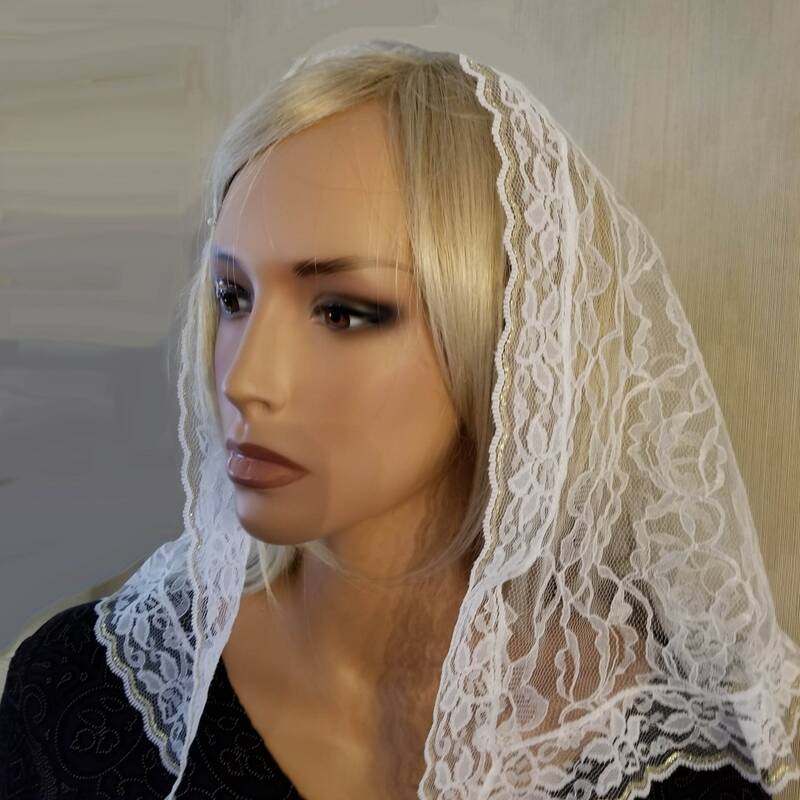 White over-embroidered lace mantilla framed with a lovely white floral lace trim with a thin line of gold at the edge. So easy to wear. Just brushes the shoulders. Soft. Drapes beautifully. 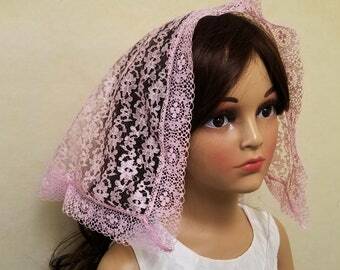 This beautiful chapel veil is perfect to wear on Sundays and on special occasions such as weddings and anniversary Masses, Quinceanera. 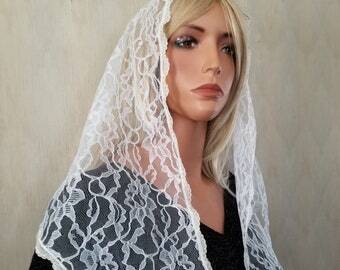 Perfect for the mother of the bride or groom.